UFO SIGHTINGS DAILY: UFO spotted over Loch Ness – tourist captures image of UFO above Scottish lake, June 2015, UFO Sighting News. 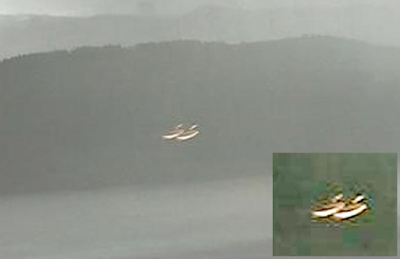 UFO spotted over Loch Ness – tourist captures image of UFO above Scottish lake, June 2015, UFO Sighting News. Location of sighting: Lock Ness lake, Scottish Highlands. 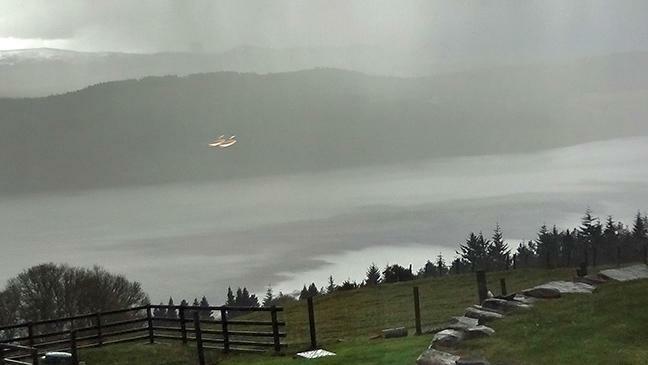 Tourists holidaying next to Loch Ness have captured an extraordinary photo which they claim shows a mysterious creature flying over the lake - and it's not Nessie. Alan Betts, 48, was on holiday with his wife, Anna, and her parents when his mother-in-law Tatiana captured this extraordinary image of two mysterious disc-shaped objects flying over the famous loch in the Scottish Highlands. The family from York were staying at a holiday cottage near Urquhart Castle when the unusual shot was taken. But they did not realise quite how unusual the picture was until Mr Betts and his wife returned home and started looking through their holiday pictures. 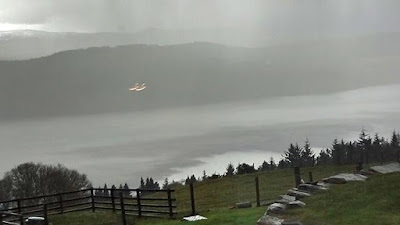 The couple were bewildered when they spotted the strange, glowing, white shapes hovering over the loch. 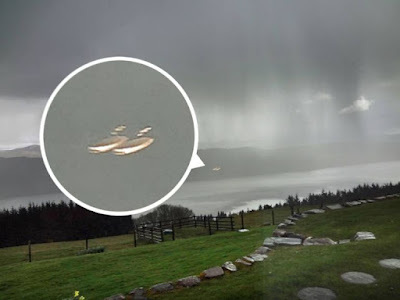 Mr Betts, the director of a refrigeration company based in Bradford, said he was usually 'very sceptical' about UFOs - but he cannot find a rational explanation for the strange picture. He said: 'Our Akita dog, Yuka, was strangely unsettled that night. 'He never barks but I remember we were laughing at the time saying that he'd seen Nessie because he was looking outside from the cottage window and barking at the sky. 'We couldn't see anything at that time though. 'We had been very lucky with the weather and were stunned with the view we had, it was almost constant sunshine but then when we got back to the cottage after a day of sightseeing, the weather suddenly changed. 'We'd not seen it change that quickly before, which is why my mother-in-law went outside to take a general landscape picture. 'After the holiday we were looking through the pictures on our PC, as they were taken on a digital camera. 'On the PC screen the resolution was better and it was only then we saw the objects and when we zoomed in we were shocked. 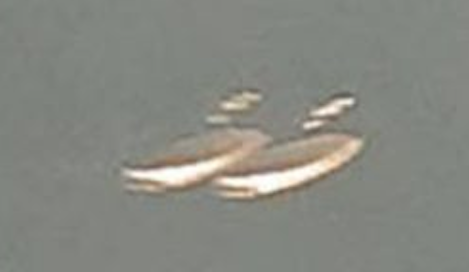 'I can't offer any logical explanation, I am probably one of the most sceptical people you could find about things like this but I just can't explain what it is. 'I know what it looks like though.